You could be in with a chance of winning a FOUR night stay for up to SIX people in the award-winning Summit Lodge! This prize is courtesy of The Dream Lodge Group, and you are able to stay at either the Hilton Woods, Cornwall or Norfolk Park locations. The Summit is the most luxurious lodge in their collection and winner of the Ultimate Lodge of the Year 2015. The exquisite Alpine style and grace blends beautifully with natural tones to make this the perfect vacation stay. The Dream Lodge Group are offering you the chance to stay with up to 5 of your friends. What’s more you can bring your loveable four-legged friend with you for the stay absolutely free! Enjoy a midweek break in this lavish and regal lodge over the course of the next year! The Dream Lodge Group has been successfully trading since 1966, building up their brand to be one of the UK’s leading luxury park operators. For over 50 years, their reputation for high quality lodges at affordable prices has driven them to become one of the UK’s leading luxury park operators. They have eight exclusive holiday parks set in wonderful locations across the UK. As a family run business, they believe in key values like ‘going above and beyond to ensure the service you receive is second to none’, which is often forgotten by other mainstream operators. They have a dedicated call centre of customer service staff available 7 days a week and their trusted team are on hand to provide a personal and professional service at all times. To find out more about Dream Lodge Holidays, click here. 4 Night midweek stay, Monday to Friday for up to six people. All lodges are self-catered accommodation and a welcome hamper will be provided on arrival that has some essential food and drink items for your stay. Bedding and towels will be included. Wifi is available on park but not guaranteed. The lodge comes with a fully equipped kitchen and dining area, complete with all traditional appliances. Amongst the lodge you will find charming stone and wood clad walls, Corian work surfaces, natural stone bathroom sinks, Steam showers, Jacuzzi baths, curved TVs, mirrored TVs, King size beds, Samsung TV and underfloor heating. For entertainment, the lodge also features a fully decked area with a personal hot tub, 6 seater Rattan Garden Furniture set and barbeque. Norfolk Park features their award-winning Olive Tree Restaurant for those wishing to wine and dine for an evening, along with a fully accessible Spa and Gym facility. The outdoor heated swimming pool also provides enjoyment for the whole family. Their Hilton Woods location is set in beautiful Cornwall, along the breath-taking cliffside of Bossiney Bay with beaches and ocean spray just a few metres from your doorstep. The picturesque surroundings make it a wonderful spot to be based from. 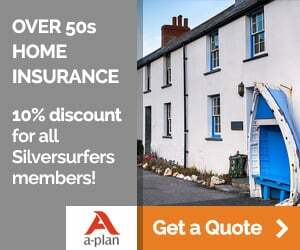 Great for a family holiday as this year is my 70th & my husband's 80th birthdays!! That would be lovely please. What a lovely treat this would be - thanks so much for the chance! Just turned 60, living in the north of Scotland makes it hard to see family as often as we'd like. This would enable us to meet up without anyone having too far to travel. Perhaps one day "Cinderella can go to the ball", a prize of any kind would be great and for me , a novelty. Would be so good to have a few days away with friends in Cornwall. Accomodation looks great! A fantastic opportunity to visit new horizons. I hope and expect publications for older readers to set a high standard in written communication. Apostrophes are inserted for omission and possession only. So, there is no apostrophe in a list including TVs; it is just a plural abbreviation. Please let me win for my relations! Would love this prize to spend time making memories with my family! Have had to stick to an extremely tight budget for the last 3 years so this would be a lovely break ....plus being able to take friends !! Would really enjoy that prize not had holiday for 23 years. This is sorely needed by us and hopefully friends who we do not get to see since I had an accident. Would be great to catch up. Just what we need at the moment as our health has not been brilliant. Fingers crossed. Had a rubbish start to 2016 with one grandparent dying and anither undergoing cancer treatment. Would be great to leave the sadness behind and have the whole family together. This sounds like an absolute dream break,would love to win. Would love to take the family away. What a wonderful location, fingers crossed! would love to have a relaxing break this year. Sounds like a lovely opportunity. Would love to win this. Could do with a rest! Would be lovely to take my brother & sister in law with us. For once I would love the chance of winning!!! Oh after the last few hectic months of caring for family illnesses we could so do with a relaxing break. Yes, that would do nicely. Sounds a lovely place, peaceful! Sounds wonderful, Good luck everyone ! It would be perfect to take my son and my daughter, son in law and granddaughter away as last year I lost my wife to cancer so we could do with some good luck this year. Sounds brilliant, Good Luck to everyone. This would be great chance to try out one of these lodges. Have been looking at them for about a year now. And a lovely holiday with family too. What could be better!!! this would be a first for my family since they left home. Haven't had a holiday in 14 years. Never stayed in a lodge. What a lovely place to go! Although I live in Lincolnshire (next door to Norfolk) I have not been there for 50 years and would love to spend some time in what, I am told by my friends and family, is an absolutely lovely area. Fingers crossed and if I am lucky I will take my family. Since suffering a stroke and having major heart surgery, my husband is now unable to travel abroad. We have spent some wonderful holidays in Cornwall when the children were small and i would love to give him the chance to re live some of those memories in Cornwall. It would be lovely to win this prize so I could take my other half away for his 70th birthday, which is in May but anytime would be great for a break. Looks a super holiday would love to take the family - would buy if I could! As I have now retired would be lovely to have a break and take the grandchildren. Good look to everyone. One of us has to be lucky.Hope it's the one that needs it most. Sounds idylic. Havent had a holiday for a while. This would be lovely. We were thinking of buying a second home ..... wonder if this is just what we want for a lovely relaxing holiday with family or friends.. looks divine darling !!!! Just what my friend and I need after a very stressful time and bereavement of family members. Oh this would be simply great. What a lovely short break with friends this would be! A very generous gift by the Dream Lodge Group, I hope it pays off for them. Would be just wonderful to have a stay in one of these dream lodges !! That's a lovely holiday idea we could have 4 generations of the family all together on one holiday. This would be a great way from me and my children to get together for my 60th birthday this year. Fantastic prize. Good luck all. This would be amazing as only having pensions a holiday is out of the question. Would love to go home to Cornwall once more. WOW this would be a lovely break for our family. It's been a tough few weeks, with lots of family illness, so a break like this would mean so much! This would be a lovely break. Sounds fabulous! Fingers crossed; good luck everyone. Sounds like a fantastic prize, good luck everybody. so happy we can bring our dog! Oooh, sounds gorgeous, just what the doctor ordered. Fingers and toes crossed. How relaxing and peaceful it looks. Would be something fabulous to look forward to. Sounds wonderful, what a treat this would be. Norfolk would be my choice if I was fortunate enough to win. Would be great to take a family break right now! We be great to take a family break right now! Can't wait to get the news! Lovely surroundings, just what I need for a relaxing break. What an amazing place for a holiday! Looks absolutely fantastic. A great place to unwind with friends or family. looks a great place to relax & unwind ! Would love a break right now.Stressof moving house dad in hospital and helping with my daughters break up.Lets hope luck is on my side it looks just great perfect for unwinding fingers crossed. Looks lovely , we would certainly enjoy a fantastic break in one of these fantastic lodges. This looks lovely, would love to have a break here! I'm not as great as the Ninety-year old I just read, but I am a grandparent (four times) and I will be 67 in July! And I suppose I have had a Stroke for 12years, but that is just one of those things! I wish everyone well, and whoever wins - Congratulations! Love this for holiday getaway. We are struggling to find somewhere that accepts a dog. It would be great to experience the Lodge. This break is just what my family need after such a horrific last few months which has affected us all. Fingers crossed. Would love to have a break with family and lovely granddaughter. Two daughters both been in hospital for op's in the last couple of months & im disabled could all do with a lovely break & a rest this year can only get better ! Good luck to everyone who enters ! Well overdue a break with all the family. Would love to win this as life has been pretty tough these past months ! A break away with my sisters who have been there for me would be a fantastic way of showing my thanks . A great way to celebrate mine and hubbies 70th! Just really need a break !!!!!!!!!!! What a great break this would be after loosing my husband of 26 years suddenly last September. To give to those that have supported me through this tough time would be absolutely amazing. This will be fantastic to celebrate my 60th birthday with my lovely family. I can't wait. The Hilton Woods facility is fantastic! What a fantastic break this would be for my brother who works 7 days a week and 12 hours a day after losing his fiance after being together 37 years, how I would love to give him this gift. Looks superb and great way to unwind. Such quality accommodation would enhance anyones stay in either of the wonderful locations. This would be a dream getaway. this would be a lovely break away. Family prize, yes please I'd love to. Have seen the Dream lodges at an exhibition and would love the chance to stay in one. Have seen the Dream lodges at an exhibition and would love the chance to satay in one. What a great prize for all the family! It would be great for me and my partner Jill and to take my loving daughter and hubby as they have been so wonderful for me in my senior years. Wonderful prize,looks like my dream holiday. We love Suffolk & to be able to introduce our family to this beautiful part of the country while staying in a gorgeous Dream Lodge would be idyllic! Can't imagine anything nicer than to take my family to such a lovely place! This could be a wonderful double birthday present for myself and husband as we both have birthday in June, as well as our 40th wedding anniversary. Fabulous I would love to spend time in one of the beautiful lodges it looks idyllic. Thank you for the opportunity for being in the prize draw. Fantastic.. Nothing beats a break in Cornwall well maybe Norfolk !! Our son is getting married in Falmouth, and we are traveling from Dundee. It would be a lovely place to stay and extend our trip. Looks fantastic it would be a lovely break for my family. their father left and a holiday down south would be a real treat! Hope my luck is in this time. I would love to win this holiday - good luck to everyone. Very kind to give away a prize like this ,good luck to all of us! This would remind us all of our various holiday park holidays together when our daughters were children. Exactly what my daughter needs for her family to have a holiday. Fantastic place for all the family to gather and enjoy time together. Wow! What a lovely prize, would really love this. Would love to share this with my best friends. It's my friends 60th Birthday in July. This would be perfect for a girls getaway to celebrate it! !....everything crossed! Could do with a luxury break, here's hoping. As a full time carer it sounds like heaven. Sun, sea and sand. Nothing better! Love Cornwall, cream teas and pasties. Beer, pizzas, nuts, more beer. What else do you need? 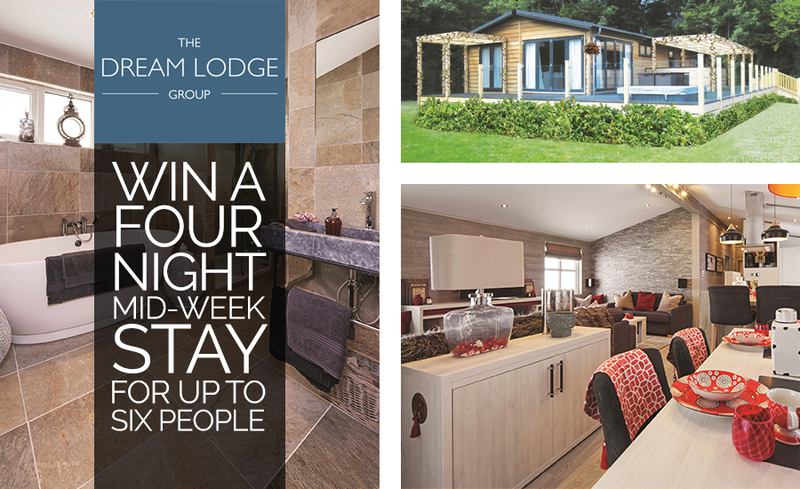 Would love to win - the lodges look absolutely lovely ! Beautiful Cornwall, lovely accommodation and my family around me - heaven! Sounds a great place to go. I would love to win. As a Pensioner I can't afford a holiday. Would be lovely to take grandchildren away. Would be lovely to spend time with our long distance children and grandchildren. Would love to take my grandchildren away. Would make a lovely 30th wedding anniversary family celebration! What a wonderful treat this would be for the family! Some problem, can't get entry form up, sadly. Just in time for a much needed break . Here I come ! Hopefully! It would be nice for me to give something back to some good friends. A great prize to win. Sounds like a fab prize! Know which 4 friends we would invite to join us for a great break in Cornwall. Fingers X. A great opportunity to explore new horizons! You can we are Silversurfers by the amount of times spell checker sticks the wrong words in our messages. It would be a great experience to share with friends! We spent twelve years holidays in Cornwall each time was fabulous.Look forward to future hols. I've never been in a hot tub before, here's hoping for a first time win! The lodges look good & hopefully disabled friendly for a stress free few days. Would love to visit Cornwall again, haven't been since our children were small. More comfy than a caravan for sure! Would love a break with my lovely sister in laws. I could do with a break. Good luck every one. I could do with a break.... I have been job searching for 4 weeks. Would love to win this as would be a treat for my daughter who does so much to help me. Fabulous prize. Good luck everyone. What a wonderful prize! Good luck to all that enter. What a lovely prize! Fingers crossed ! Would be a love present for my hubbys 70th Birthday Cornwall and Norfolk are both nice places. never been to Norfolk, so fingers crossed. My Sister and I spent holidays in Cornwall with Mum & Dad when we were little .. would love to go back and visit places we visited then, and stay in luxury spending time with family.